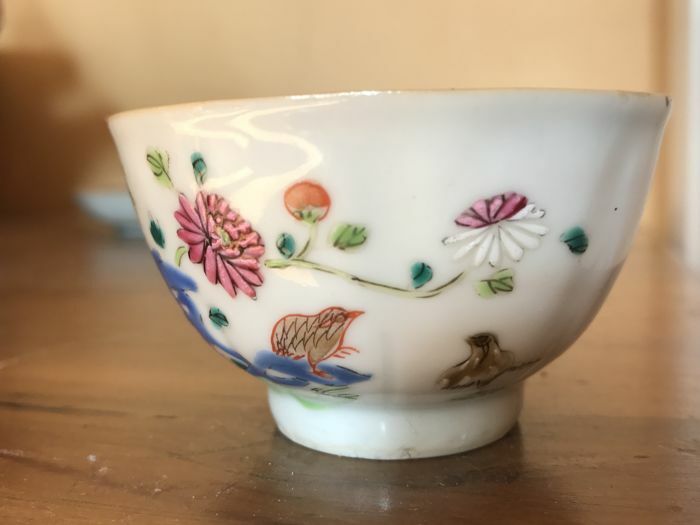 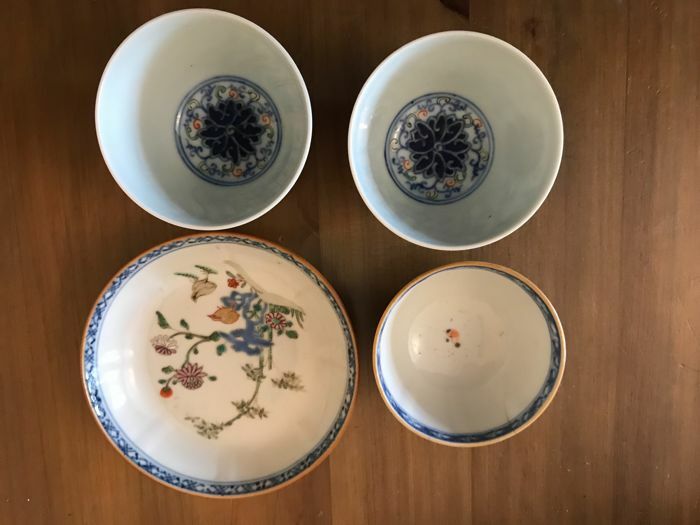 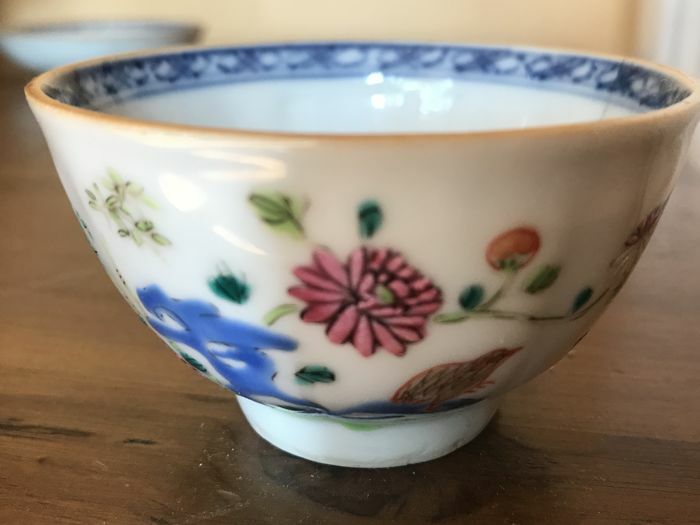 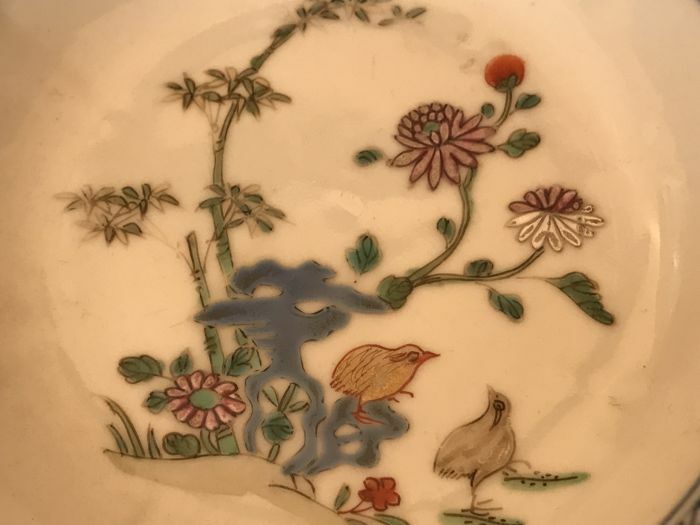 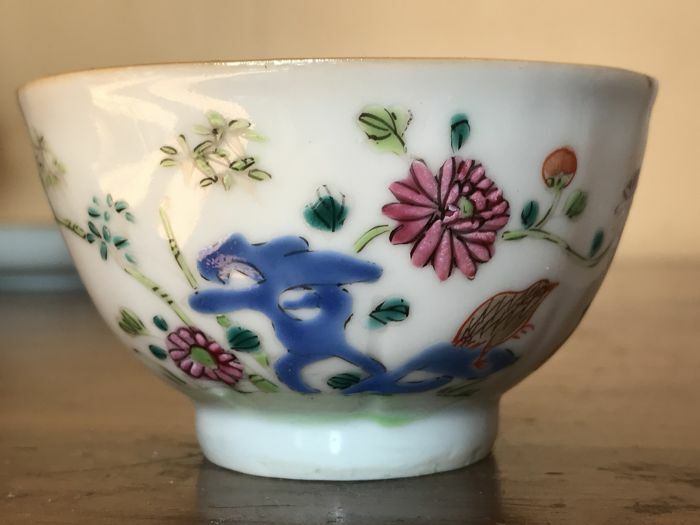 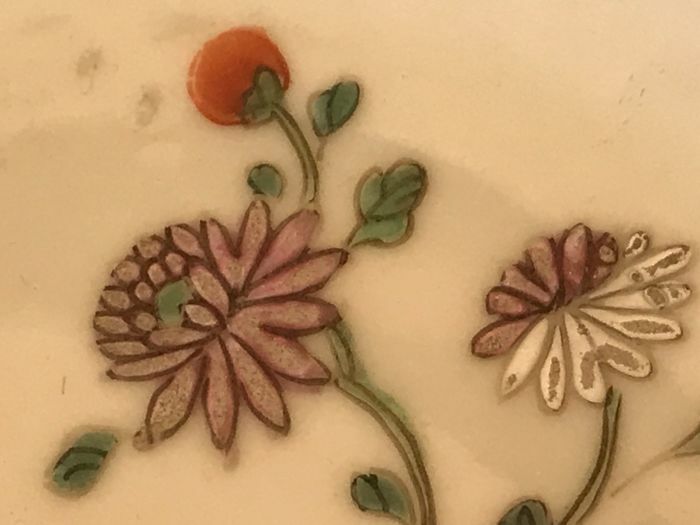 A set of Chinese Porcelain tea bowl and saucer dish, decorated with flowers and birds, fully detailed and colorful. 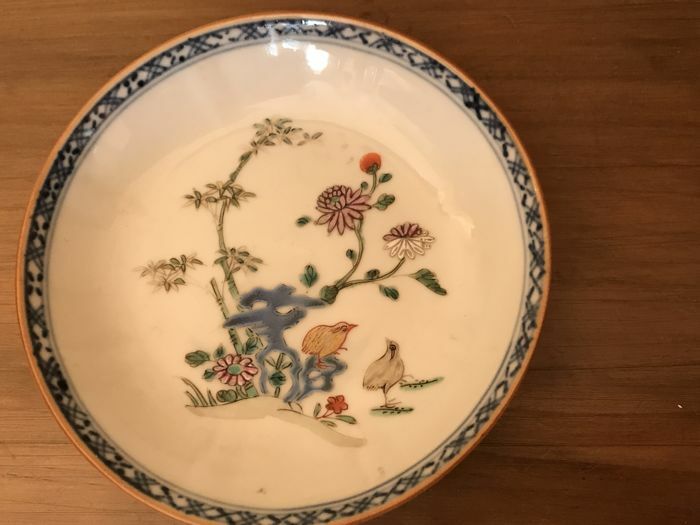 It was QianLong period Qing dynasty 18th century. 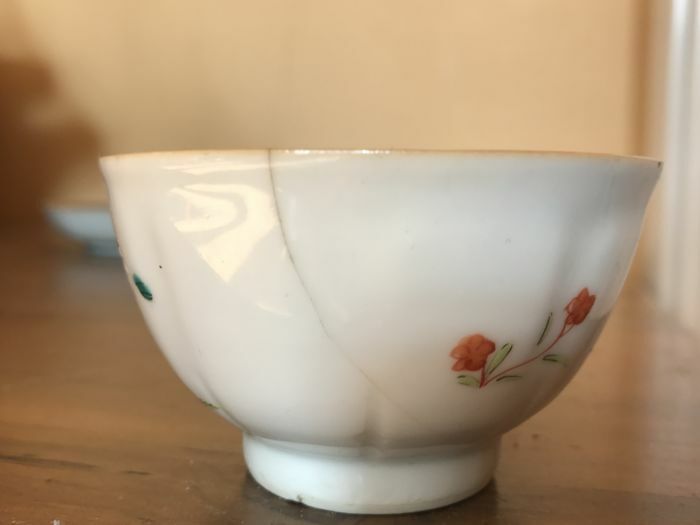 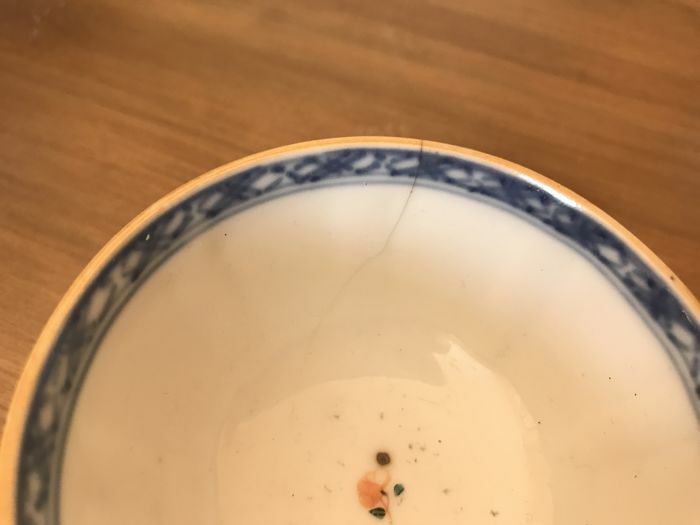 Cup has a crack. 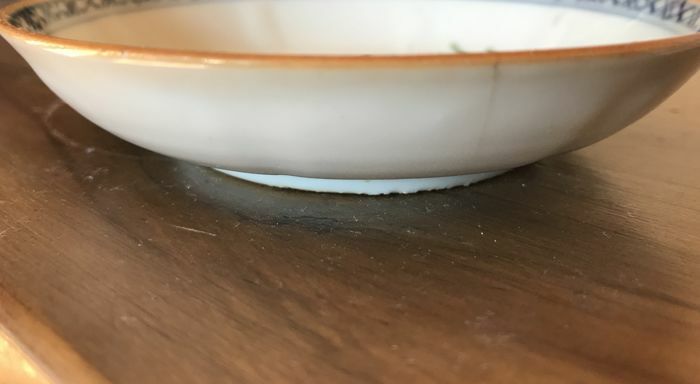 The saucer has a hairline. 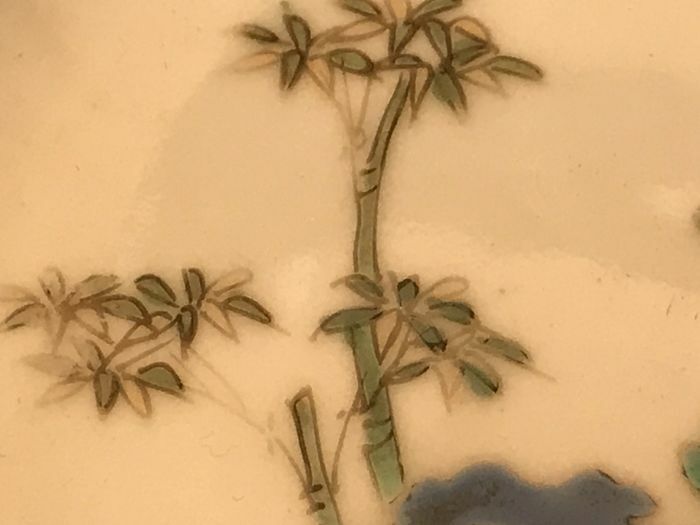 It does not distract from the overal piece. 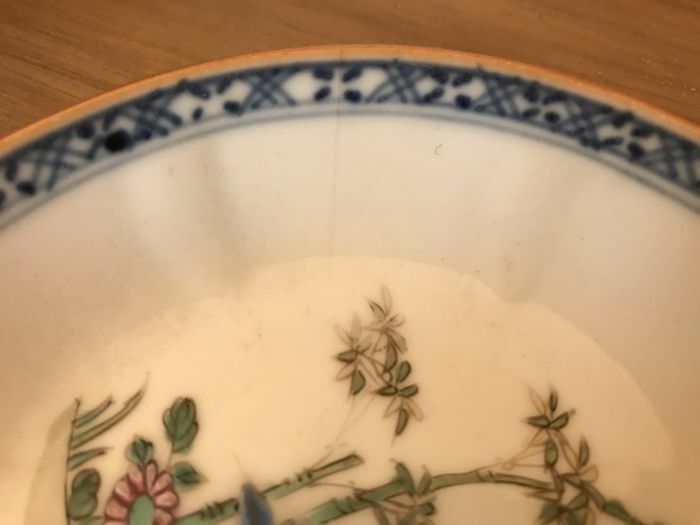 However it's good condition for it's age. 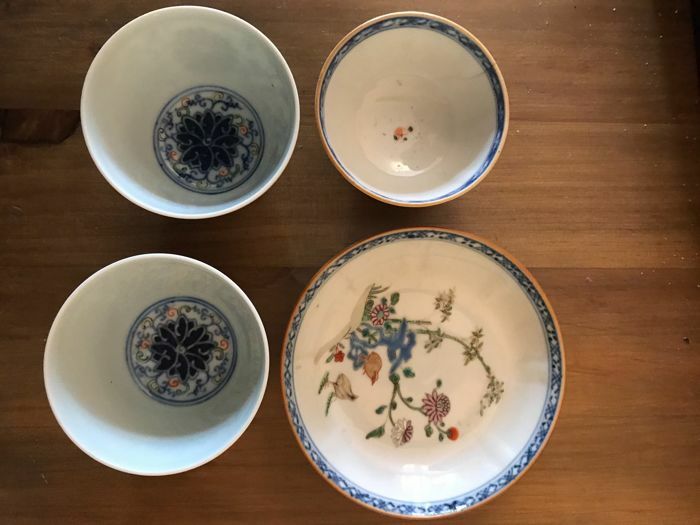 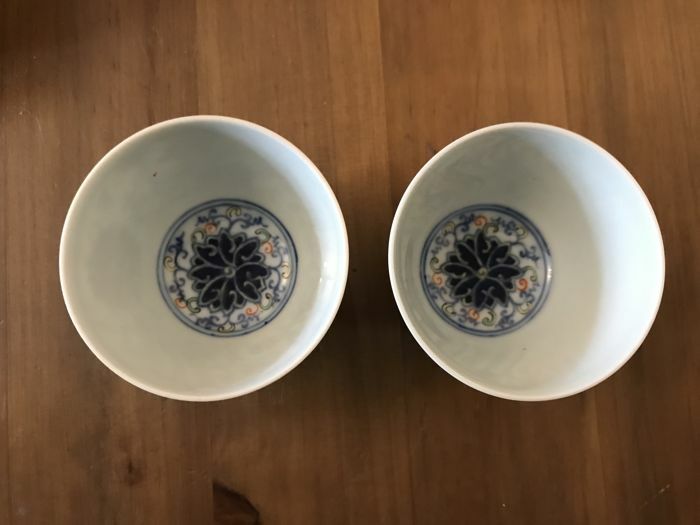 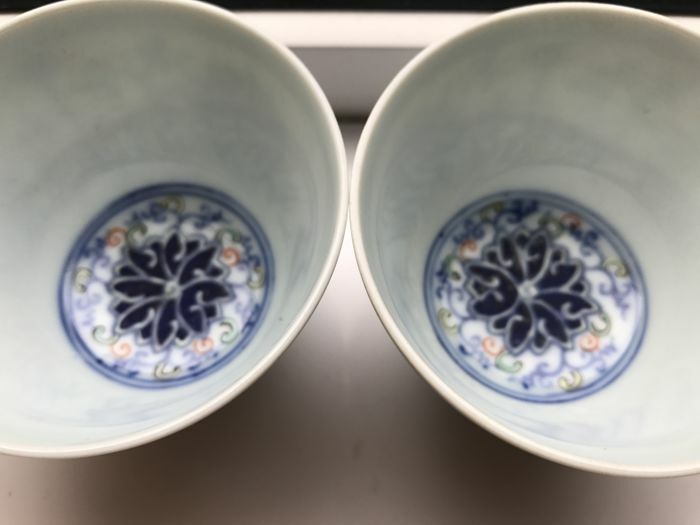 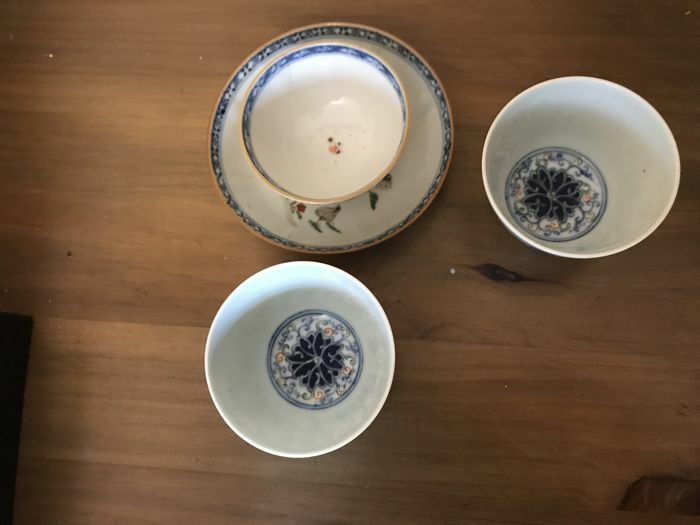 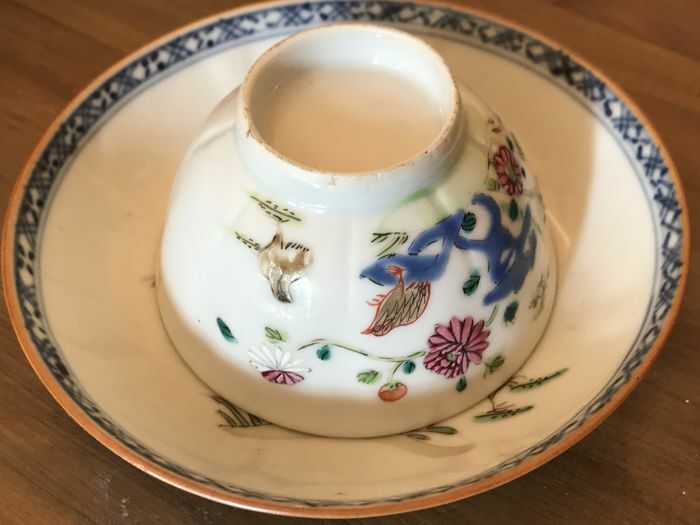 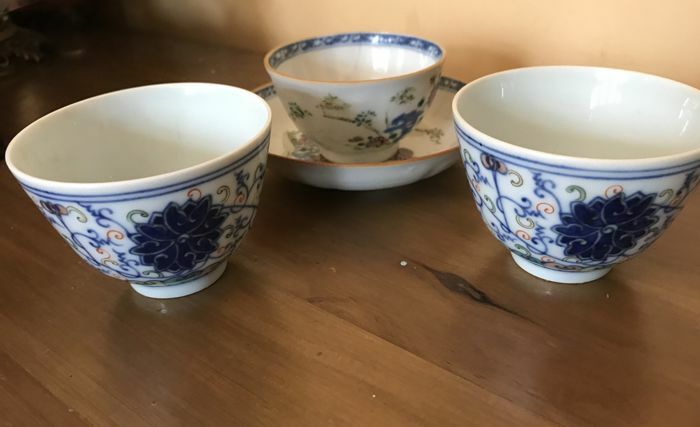 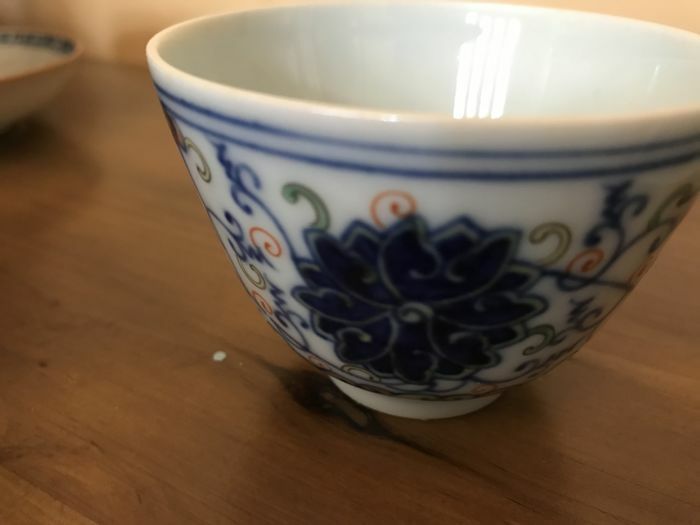 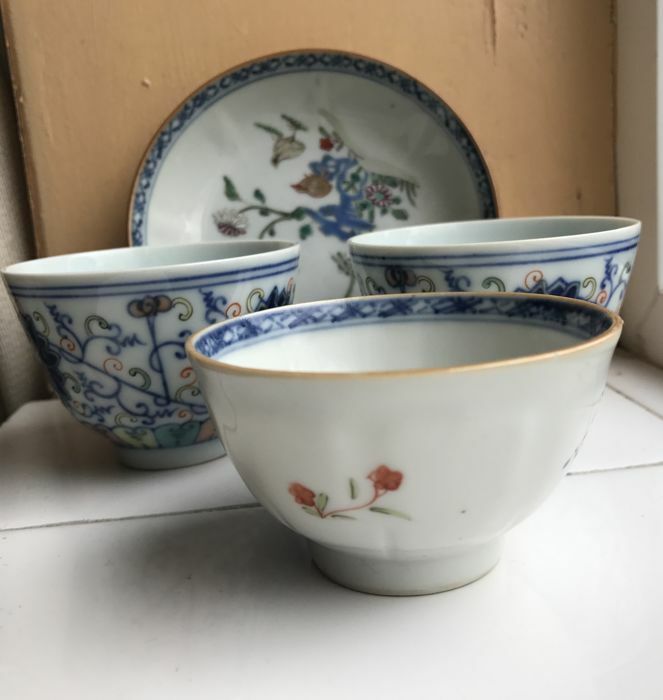 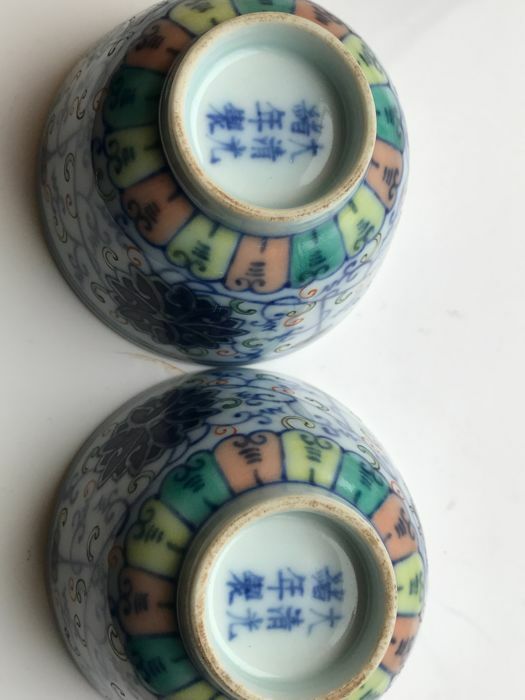 The pair of Doucai porcelain tea cups, decorated with lotus flowers, marked Guangxu six underglazed blue characters on the base and of period. 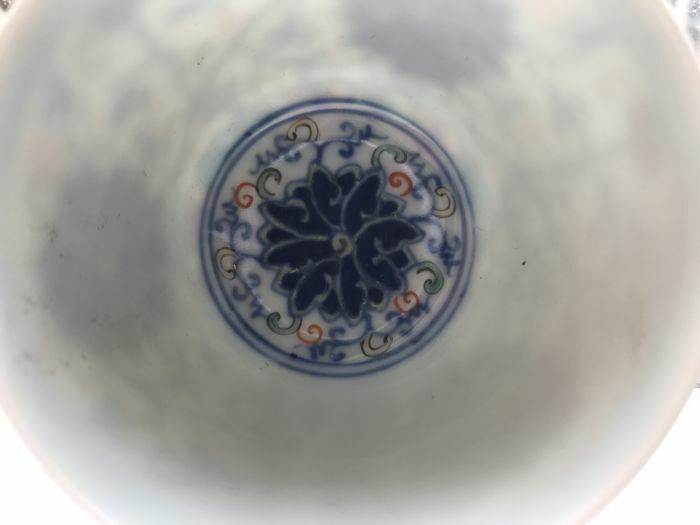 The measurements are 7.5cm in diameter and 5.5cm in height. 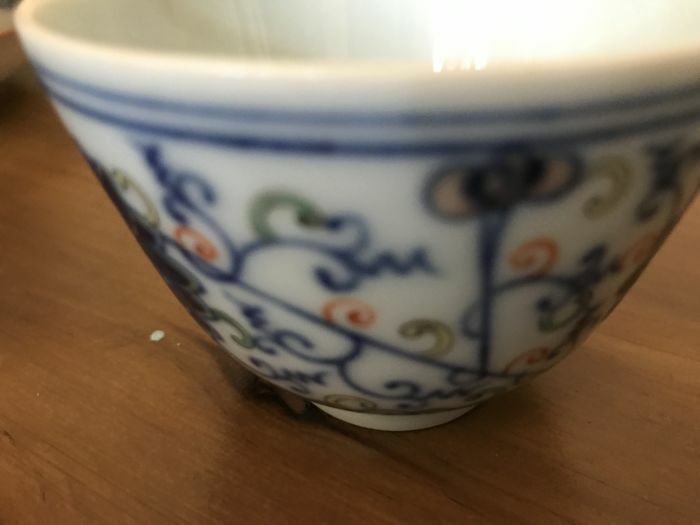 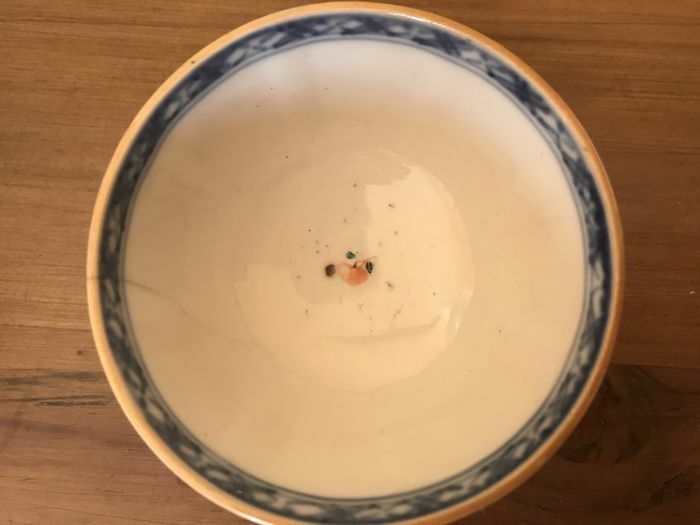 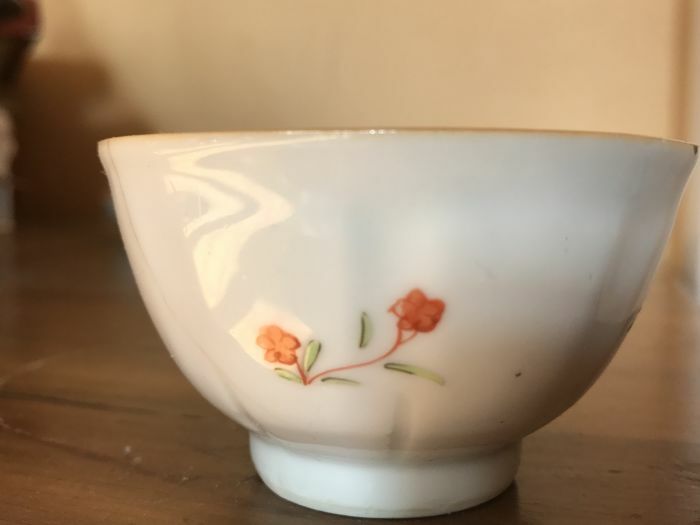 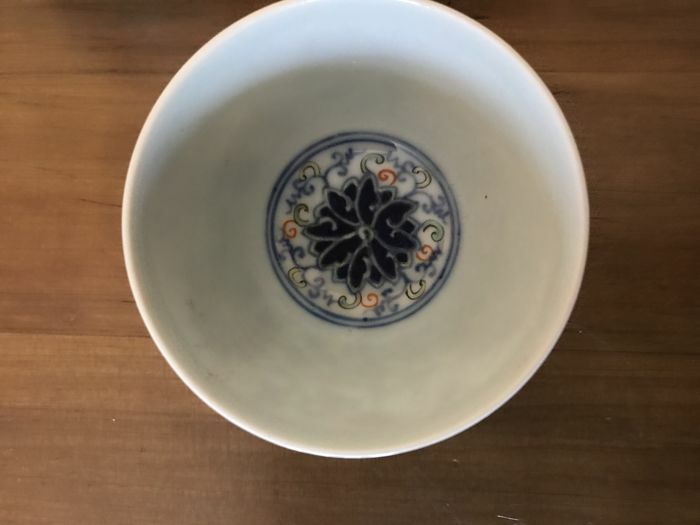 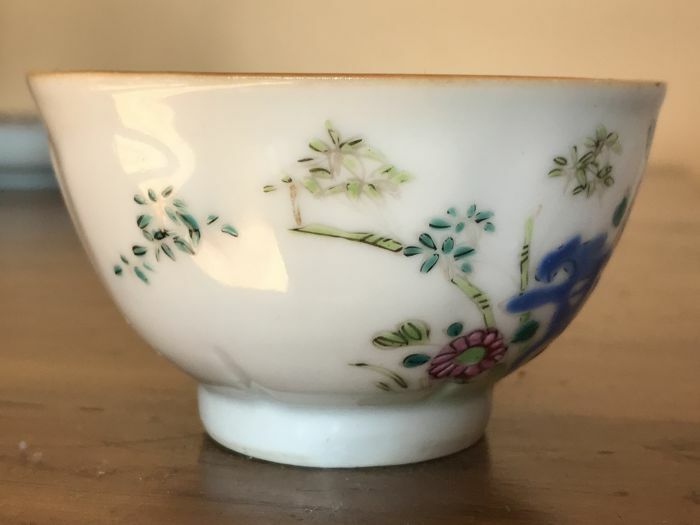 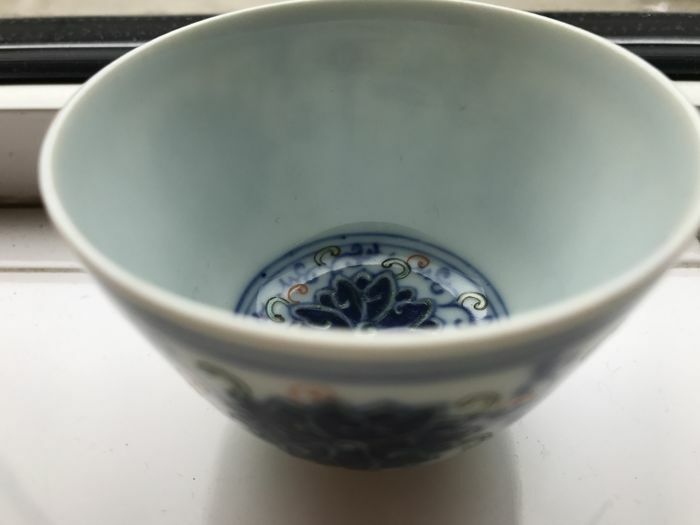 Very good condition, the cup is so thin, when you put it under the light you can see the light go through. 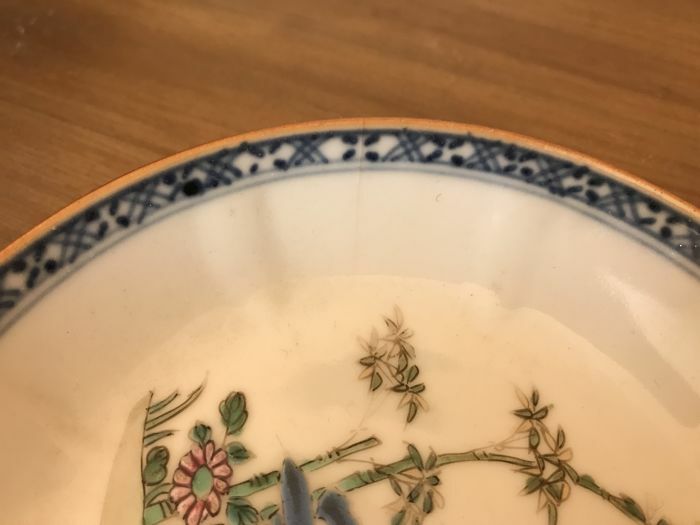 Please study the pictures carefully. 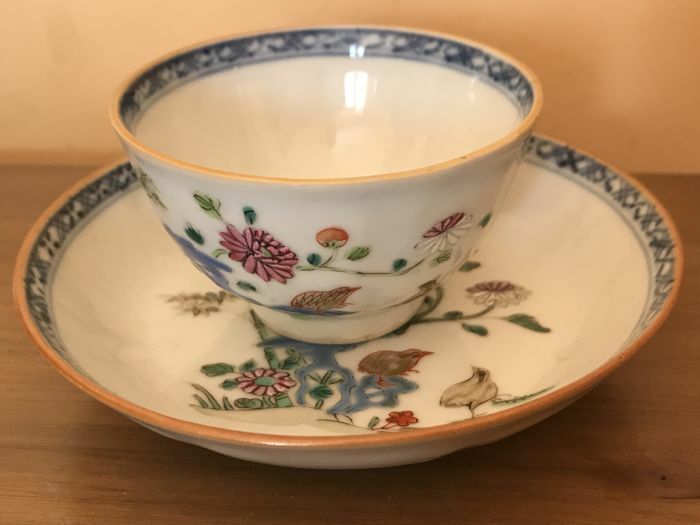 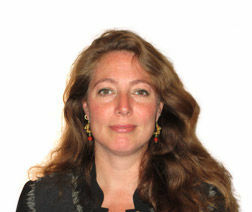 Pode levantar este lote em mão do vendedor: Weston Super Mare (North Somerset), Reino Unido.